A mistress of reinvention with all the style of an urbanite Dorian Gray, Shoreditch has the gravitational pull of all things cool. Of this inner-city hood, some say over-subscribed; others, pure zeitgeist, regardless, it remains home to some of London's most exciting independent stores and trends. 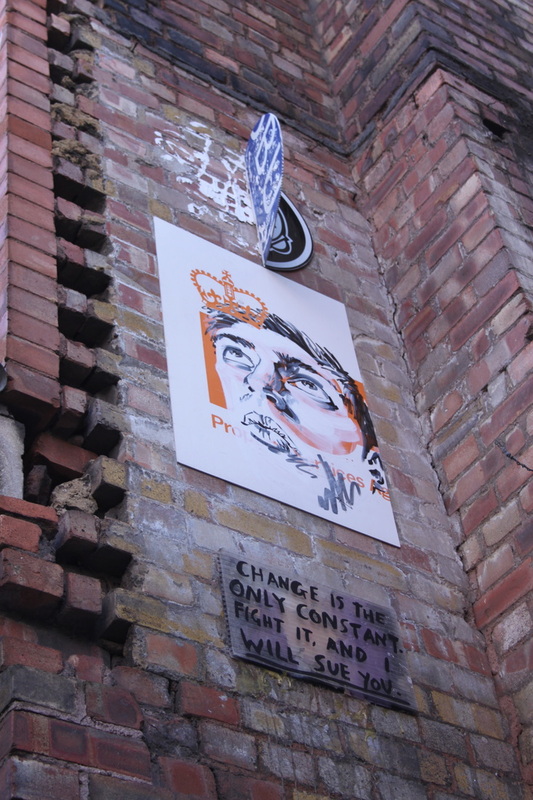 Start your walk at Rivington Street (at the corner of Shoreditch High Street) for some of the best street art in London, a reminder of how this inner city neighbourhood has retained its street credentials - flaunting irreverence, in the face of its gentrification. 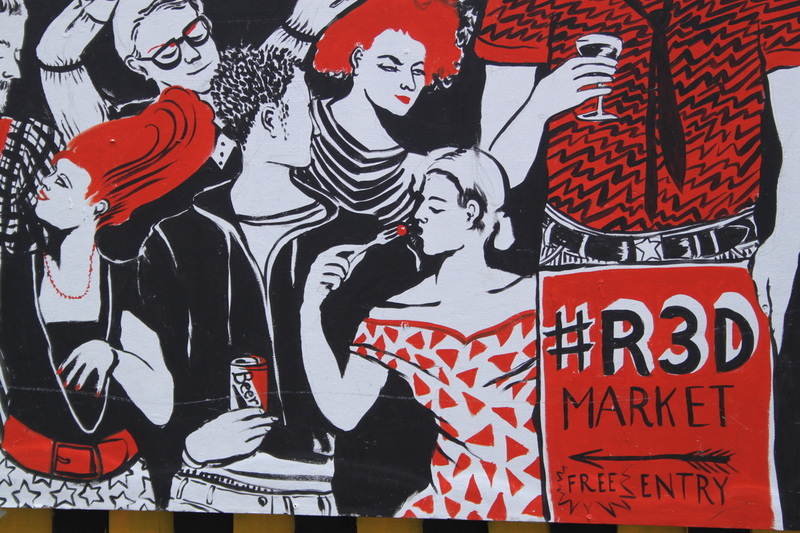 Continue all the way until you reach Shoreditch High Street to sample pure E1 design. The trio of House of Hackney, Present and Aida typifies the new Hackney – uber-stylish with an eclectic mashing of influences and blending of styles that you’re unlikely to find elsewhere. Cross the road at Calvert Avenue. On your way to Boundary Gardens, you’ll walk past one of Hackney’s great landmarks –Syd’s Coffee Stall established in 1919 and still run by Syd's family as well as Paper and Cup -a not-for-profit café created by the Spitalfields Crypt Trust (a local charity) @PaperAndCup). At no 17 is Leila’s Shop(@Leilas_Shop). 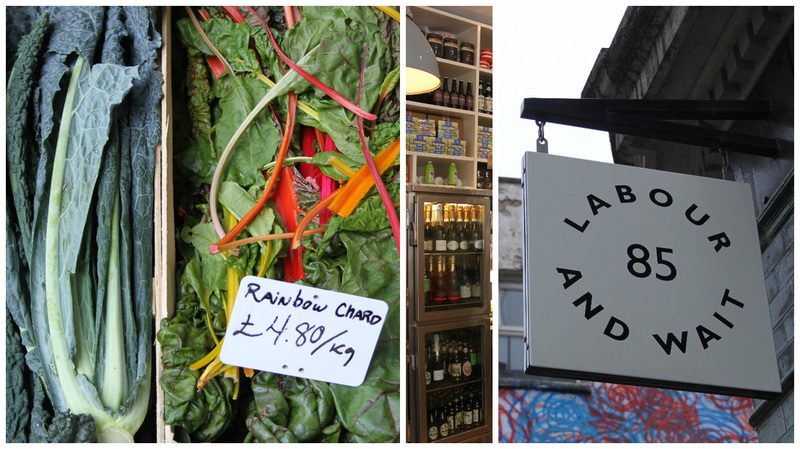 More larder than shop, it offers an enticing array of fresh produce, cheeses, deli good and teas and coffees. On a Saturday morning, you’re likely to find a food producer – on this Saturday, Basque cheese was being showcased. Next door is the very popular café with the same name. 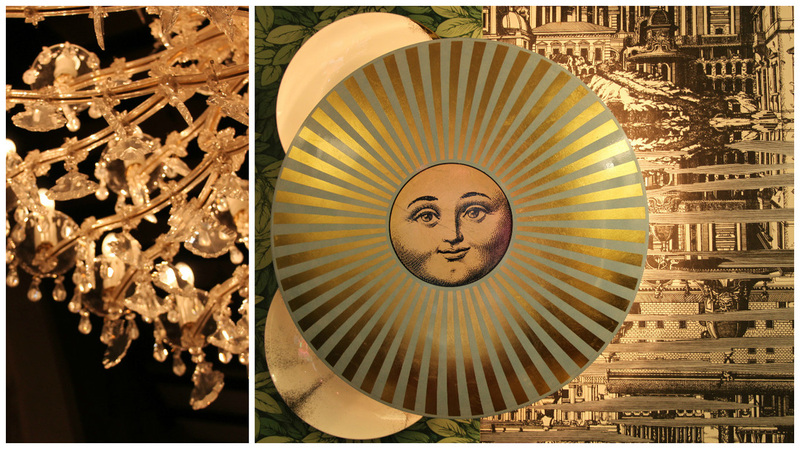 Opposite Leila’s is Curious and Luna known for its eclectic array of home wares (@lunaandcurious). Run by a design collective, L&C has a reputation for showcasing emerging British designers. Their store features a gallery space, with current resident Barry the Barber enjoying the reputation of offering one of the wet shaves in London. Be sure to walk around Boundary Gardens to appreciate the architecture of the housing estates and the local vegetable garden created by the children of Virginia Primary School. Take the shortcut down Boundary Street to Red Church, one of Shoreditch’s most interesting streets. Long-time resident Albion continues its enthusiastic cheer of "Rule Britannia" with its true British larder - you find Battenberg Cake, Yorkshire game, Climpson & Sons coffee as well as Eton mess and Apple Crumble Montezuma chocolate to name a few. Opposite is 7 Upholstery, a traditional upholster using modern design and traditional fabrics. At no.85, bower birds Hassan Abdullah and Michel Lasserre have reinvented their design store as a café Tres Garcons Masons. The home-wares are still there as are the highly desirable vintage handbags. Further along at no.52 is newcomer Burro 3 Salvia Pastifico (@BurroSalvia). 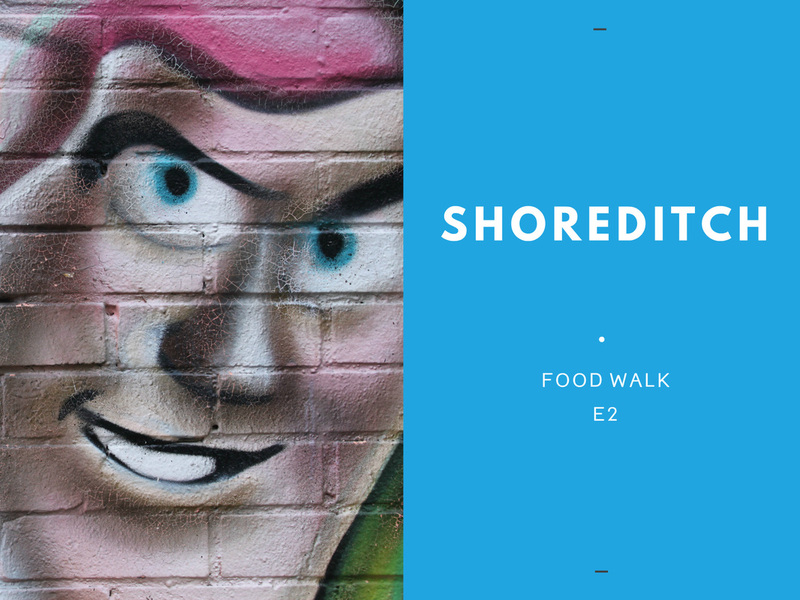 One of the few food artisan producers in the area, its arrival heralds a new side to Shoreditch known more for its restaurants and bars than food producers. The design element is clearly there but the fresh pasta is the star of the show. You can watch it being made before sitting down to lunch. Pasta Convivium are held each month. At no 77 is CaféAnd, a design concept store and café called the Kitchen (@CAFEAND). Here you'll discover wild herbs picked by foragers as well as other Greek products. Simplicity is taken to new heights in its highly select offering of home-wares and an enticing menu prepared on site and when available, fresh organic produce from Growing Community (@growcomm). At no 85, Labour and Wait offers traditional home-wares – all beautifully crafted and a joy to own (@LabourandWait). Continue walking towards Brick Lane. If a caffeine fix is in order, stop by Allpress Expresso’s hole-in-the-wall cafe - La Marocozzo. Brick Lane deserves its own food walk with its array of vintage shops, Saturday street sellers, and traditional Indian supermarkets. The only place that we will pause is the Biegel Bakery - place your order for a smoked salmon and cream cheese bagel and New York cheesecake. Remember, the line moves fast and hesitant orders are not tolerated! Back along Bethnal Green Road, watch out for BoxPark with its line-up of both pop-up and permanent stores. Look down Ebor Street – home to the private members club Shoreditch House for those in the know but for the rest of us access is limited to more street art. For the more literary, stop by Artwords Bookshop back on Rivington Street (no. 65a) for those hard-to-find journals. Another great book store is at number 3, Material Gallery and Bookshop (@materialgallery). Take a detour down Curtin Street for the design store SCP – this long-term resident of Shoreditch is one of the UK’s most (as well as internationally) respected manufacturers and suppliers of contemporary design, a real icon and champion of functional and beautiful design. Complete your walk at TokyoBike, at 87-89 Tabernacle Street. Started in Japan, this store will satisfy any biking enthusiastic but for those with a design heart, you’ll find the small selection of Japanese home-ware more than satisfying. Syd's Coffee Stall, Cnr of Calvert Avenue and Shoreditch High Street, E1 6JN.